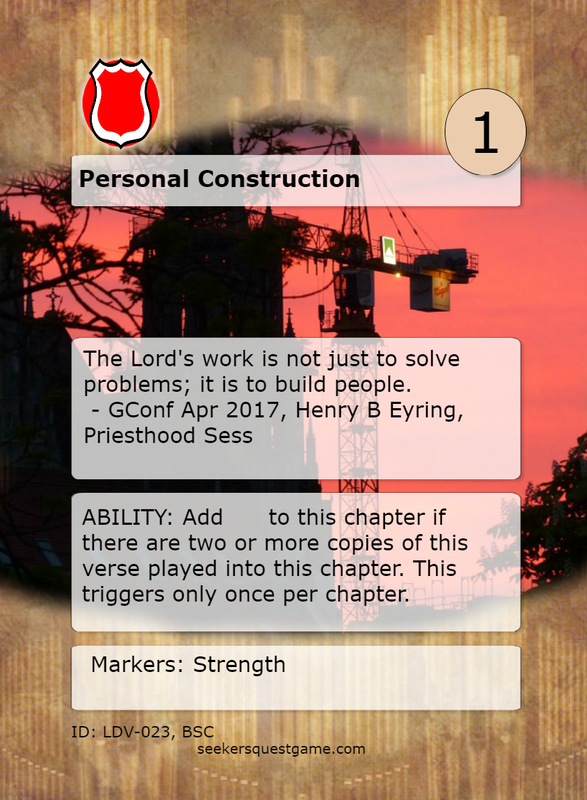 Seeker's Quest - LDS Game: Latter Day Voices, New Verses for April Conference! 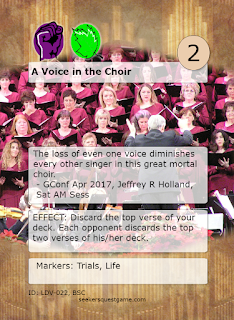 Latter Day Voices, New Verses for April Conference! 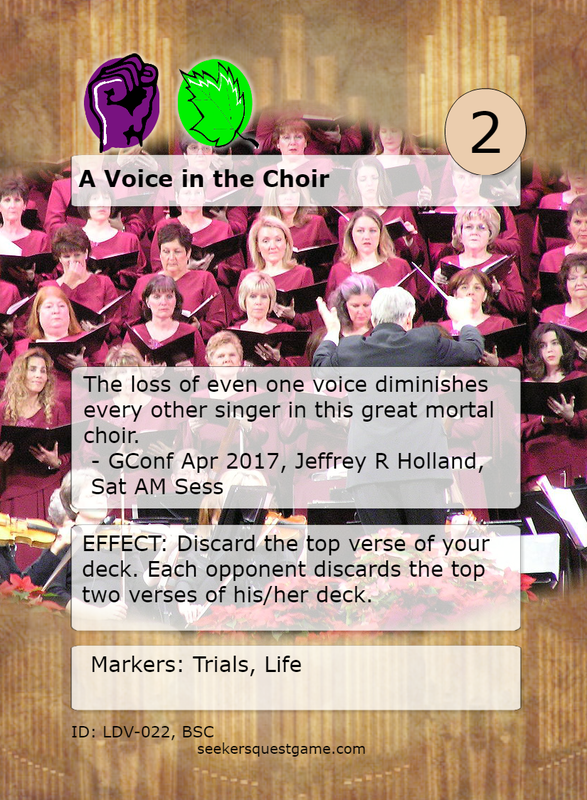 Here are a couple of new verses for the "Latter Day Voices" set, from this past General Conference. This first one is from my favorite talk, about how we should celebrate the diverse group that the church is. I love to listen Elder Holland. He always gives me hope. 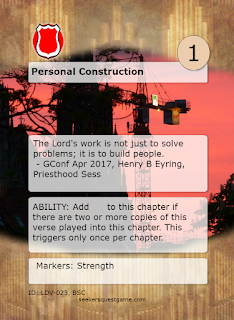 This other one is from the Priesthood session. It was about serving in your church callings.